Whether you’re ready or not the holidays are quickly approaching and we’re here to help you have a stress-free holiday season. Follow us over the next 8 weeks as we show you how to make your Holiday Décor and Gifting magical. Be sure to tune in every Monday & Wednesday to our Facebook Live as we walk through some of the tips and techniques to get you ready for the holidays. 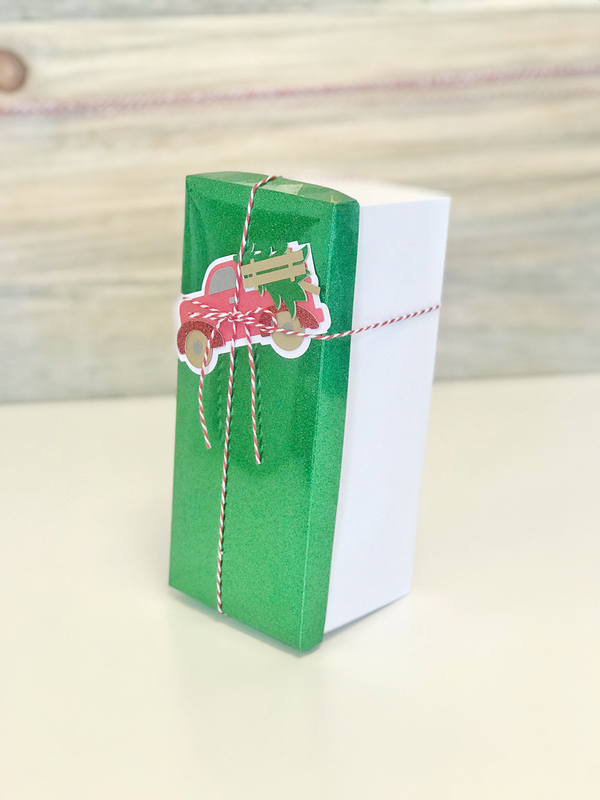 Now, let’s jump into this week’s gifting lineup: We’ve Got a Box for That! One of my very favorite parts of the Holiday season is wrapping up the gifts I’ve found for the special people in my life. 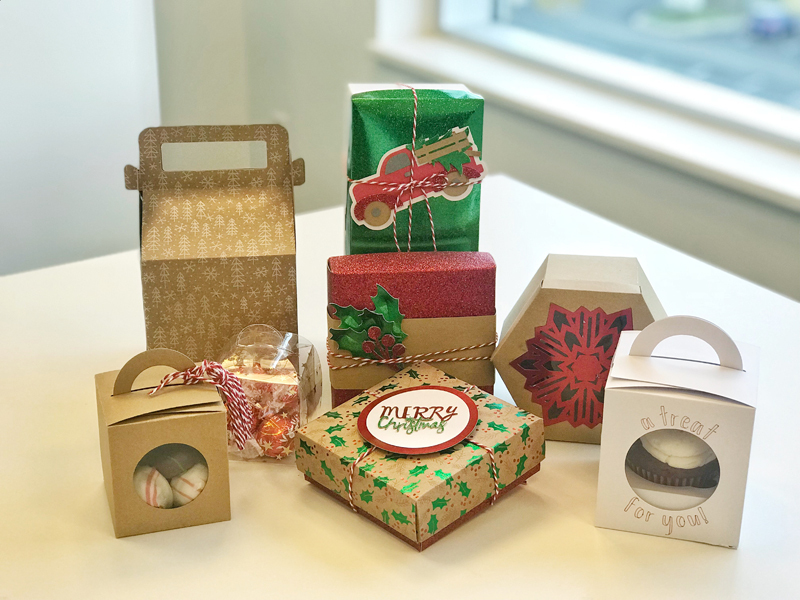 With the help of all the boxes, you can create using your Cricut machine the possibilities for personalized gifting are endless. 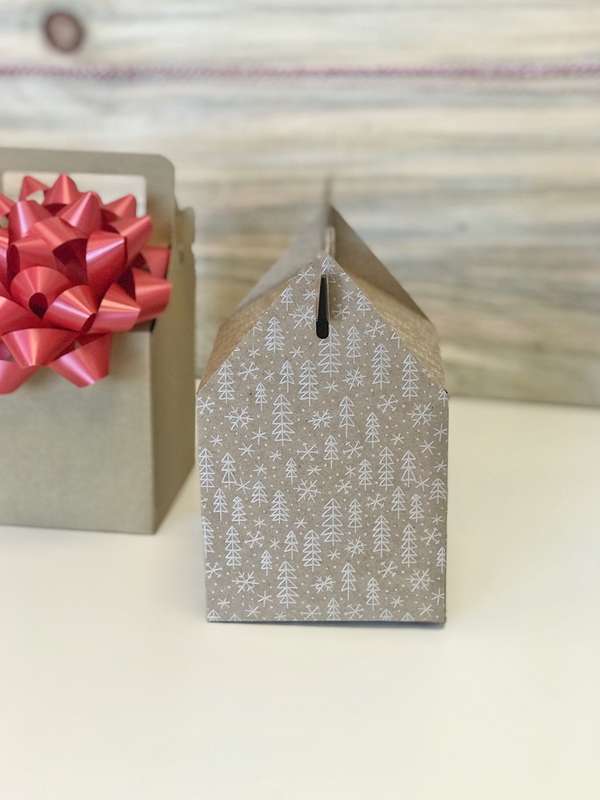 I’ve rounded up a few of my favorite Design Space Box Cut Files along with some pretty papers to create boxes perfect for gifting. During our 8-week journey you can use promo code 8WEEKDIY to get an additional 10% off all your materials (excludes Cricut machines & Cricut Access) on purchases $50 or more! Now that you have your supply list let’s dive right into the boxes! I have always been a traditionalist when it comes to my Christmas colors. I love all the reds, greens, whites, blacks, natural woods, golds, silvers, and of course Christmas plaids. 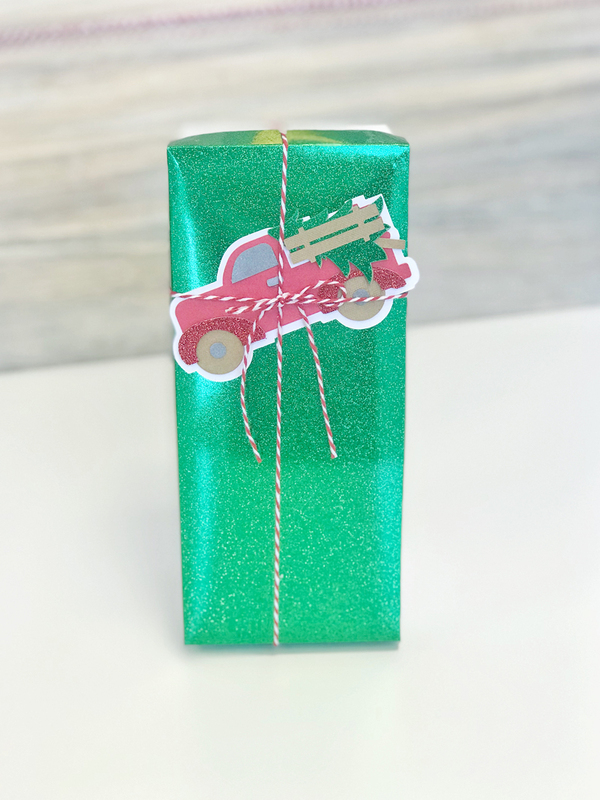 Along with my favorite colors I used elements from Tiffany’s mantle scene, (the red truck, red/white Baker’s Twine, basic colors, etc) to really help create a cohesive holiday look. 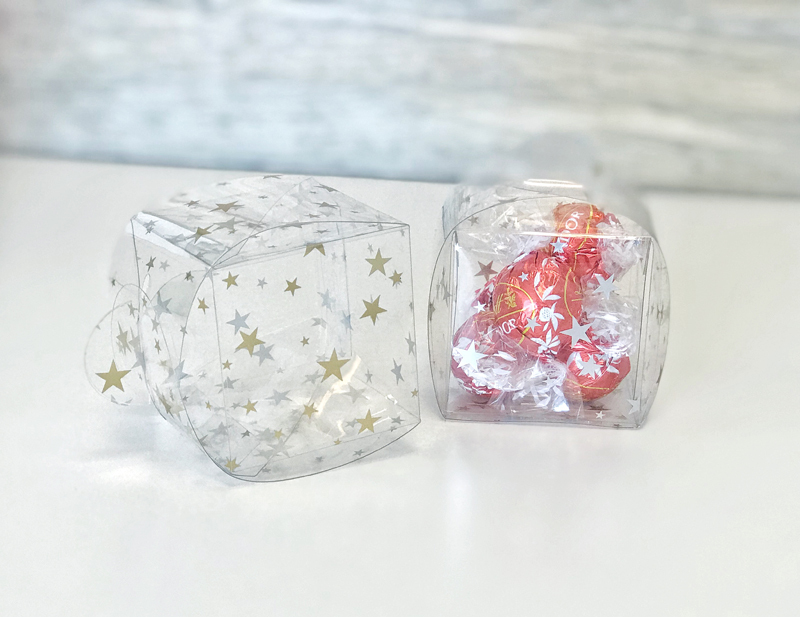 This acetate box is perfect for gifting small treats; you could increase the size and use it to gift fuzzy socks or fun gifts. While this isn’t technically a “milk” box, it reminds me of a milk carton so I named it that! 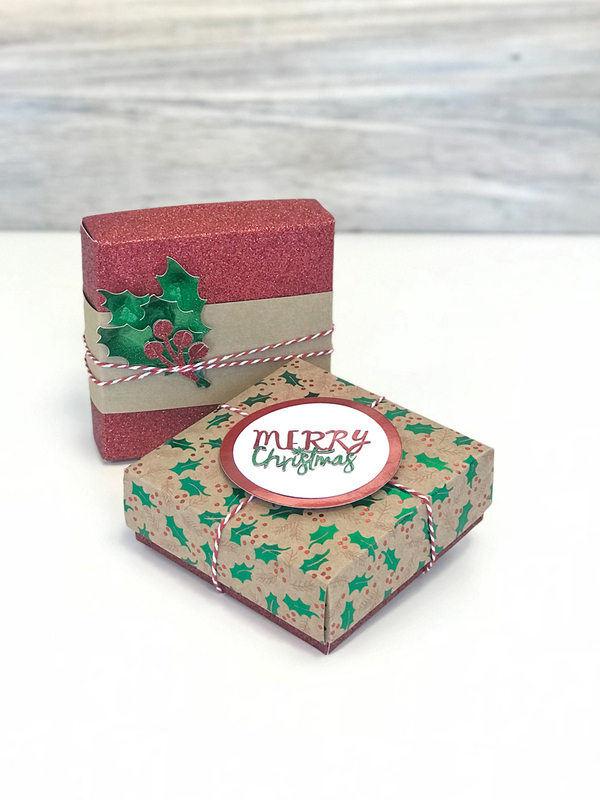 This box is perfect for a slightly larger gift and I love how the top opens nice and wide. 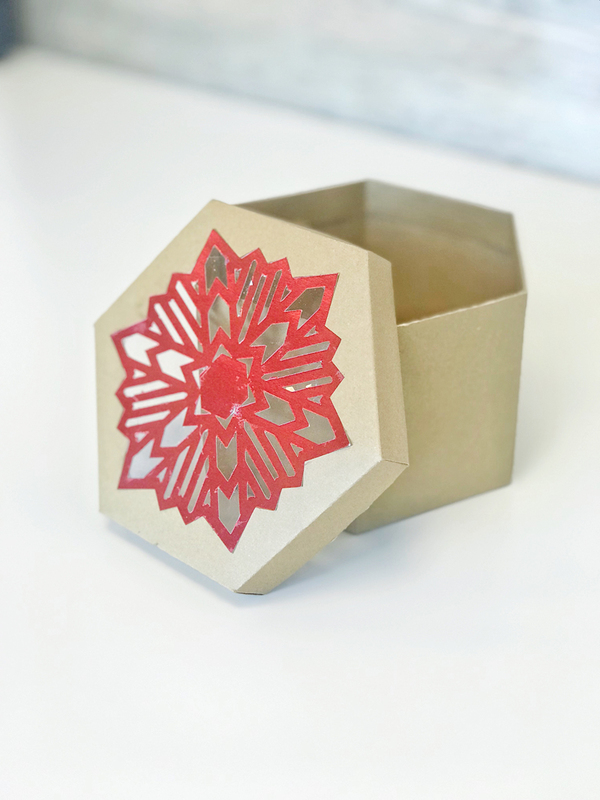 This box is perfect for holding a tie or collection of baked goods. 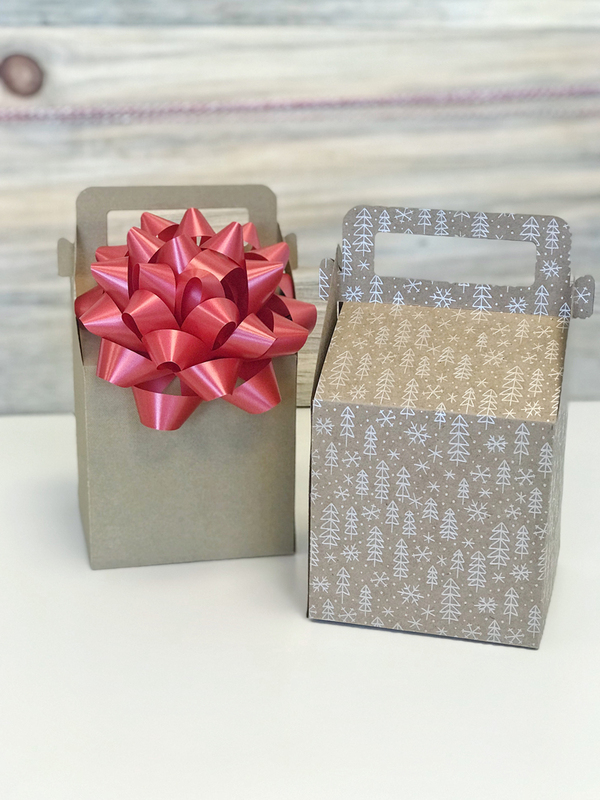 This box is nice and tall which makes it perfect for gifting treats. 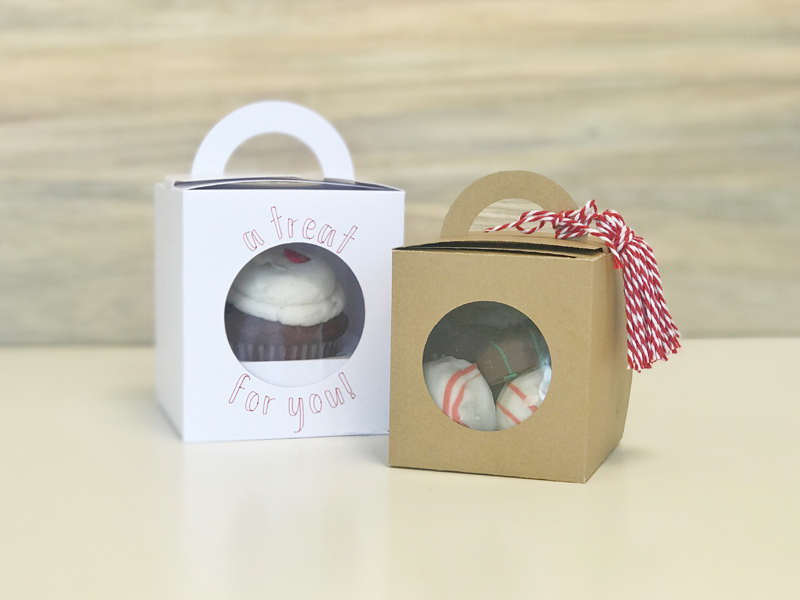 These cupcake boxes are perfect for treat giving. The smaller one can hold a collection of treats (we have 8 cake bites in there!) and the larger one can hold a standard sized cupcake and includes a base insert to hold that cupcake in place! 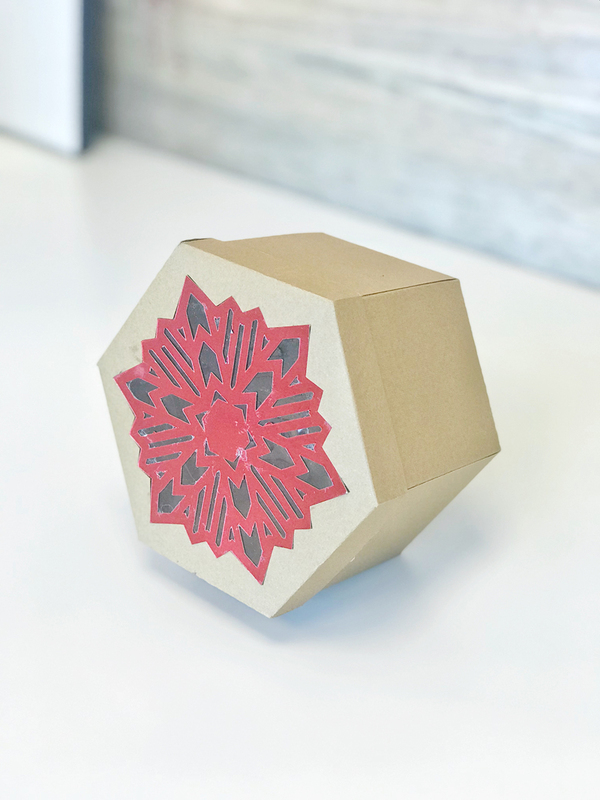 Make sure and check out our Facebook Live where I walk you through the different boxes, show you how to assemble 3 of them, and describe the different tools used to create them (like the Scoring Wheel, what it is, and why you need it!) here. To see all the Mantle Decor pieces Tiffany created click here and tune in next week to see our Living Room Decor and Milestone Gifts! I have loved all the great inspirations! Learned so much! Is there a post for the gift card holders? I can’t seem to find it??! !